Koh Lanta is easy to get to from all over Thailand, it is located in the south west of the country and lies on the Andaman Sea. North of Koh Lanta is Koh Phi Phi and further north is Phuket. South of Koh Lanta there is the Trang Islands (Koh Muk, Kradan, Ngai) and further still close to the border with Malaysia is Koh Lipe. The nearest main city, and airport is Krabi, but Trang and Phuket also have airports that service Koh Lanta. 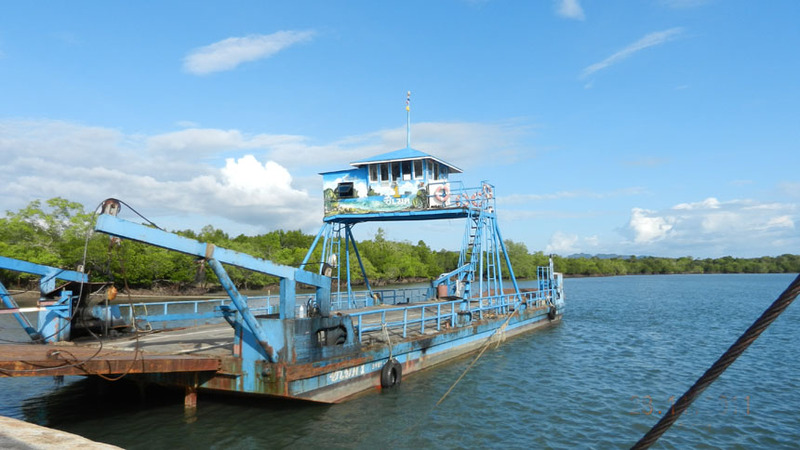 There are only 2 ways to get to Koh Lanta, by passenger ferry (by far the nicest way to get here) or by car ferry. If you come by the public minibus, taxi or a private car you will be driven to HuaHin where a small car ferry will take the small journey over to Koh Lanta Noi (there are no hotels on this island). Then you will cross the island to meet another car ferry (they are currently building a bridge) that will bring you to Koh Lanta Yai. Normally the journey from the mainland to Koh Lanta Yai takes about two hours but there can be, especially during busy holiday seasons, big queues for the car ferries. The car ferries run all year from 7am to 10pm. Please check your arrival times as it could be that you will need to spend a night in Krabi town. Minibuses and taxis can be booked at the airport, but we can also arrange private taxis to be waiting for you when your plane lands. We will need at least 24 hours notice and your flight details to be able to do this. We are unable to book the minibus, but this is easy to do in the arrivals area of the airports. Please be aware that minibuses only run during the day (most will do their last journey about 3-4pm, so if you arrive later than that you will need a taxi or stay in Krabi for the night. There are also passenger ferries that come to Koh Lanta. Most are only during High Season (October to end of April) but the Koh Phi Phi/Phuket passenger ferry does run in Low Season but this is dependent on weather and tourist numbers (generally there is only 1 per day).